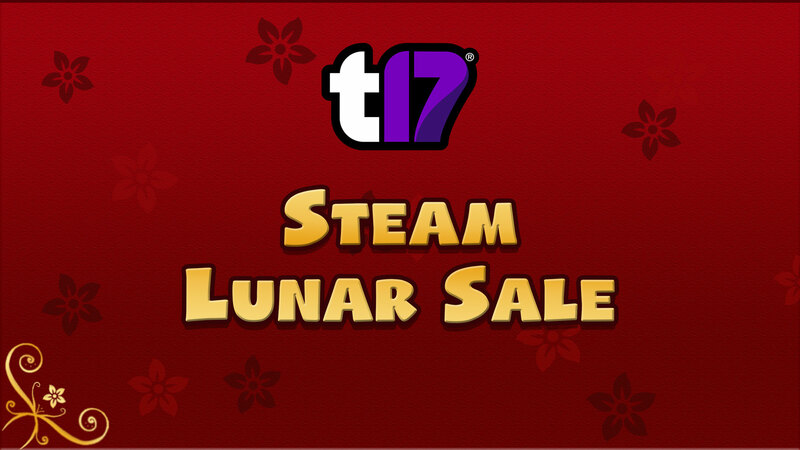 To celebrate the beginning of the Year of the Pig, we’ve launched another massive Steam sale which sees a bunch of Team17 titles discounted in some cases up to a whopping 90%! There’s bound to be something for everyone, but let’s take a look at some of the highlights. Overcooked! 2 and its DLC is currently up to 25% off. The chaotic co-op cooking game by Ghost Town Games adds the ability to cook with your friends in online co-operative and competitive multiplayer alongside the frantic solo or couch co-op gameplay you might know from the first game. As a bonus to further celebrate the Chinese New Year, we just launched another FREE update to the game today giving you more kitchens, chefs, recipes and even a brand new game mode. You can read more about that here. You can also save 50% on Mugsters, which is the physics-based action puzzler by solo-developer Reinkout. Save humans, collect crystals, drive vehicles and blow up aliens all while trying to save the world. No pressure! If you’d rather play Mugsters on Nintendo Switch, you can check out the new free demo and even participate in our competition where you could win a copy of the full game on the platform. If you’ve always dreamed about escaping a (virtual) prison, check out The Escapists 2, which is currently 50% off on Steam. This prison life simulator will have you attend prison routines, loot contraband and craft the tools required to make your escape – alone or with friends. If you’d rather take your escape on the go, we just launched The Escapists 2: Pocket Breakout on iOS and Android last week. Regardless of your preferred platform, we’ve got a handy guide for new players right here, should you need it. Finally, Award-winning Yoku’s Island Express is currently 50% off on Steam. This open world pinball adventure game by developer Villa Gorilla took both players and press by storm in 2018 and is currently sporting a 100% Positive Recent Review Score on Steam (with 96% Positive overall). Don’t believe the numbers? Check out the free demo and see for yourself. We think you’ll love it! Sale ends on February 11th 2019 at 6pm GMT.